"Telx has been a leading provider of interconnection, cloud enablement services and colocation solutions in the United States since its founding in 2000. Multiple recent announcements from the company demonstrate its ongoing commitment to providing top-of-the-line data center solutions across North America, including two releases detailing Telx’s progress in boosting its Chicago colocation and New York colocation offerings. On September 4, Telx announced that it would be ramping up the power and capacity of its Chicago data center facility, specifically adding 1.2 megawatts of power to its downtown location that is positioned at 350 E. Cermak. Referred to by Telx as CHI1, the company noted that it is within the world’s largest data center, with 1.1 million square feet. With the additional megawatts added to two new suites, the CHI1 facility now operates high-density colocation space that exceeds 3.7 megawatts and eight suites in total. According to Telx, this latest development makes the company one of the largest colocation data center providers at the CHI1 facility. While Telx made its move to bolster its Chicago offerings earlier this month, the company also is expanding in other key markets like New York City. Telx announced on September 24 the expansion of its New York City data center facility, located at 60 Hudson Street in Manhattan. The NYC1 data center will get an additional 69,000 gross square feet, a 71 percent expansion upon its current data center space. This puts Telx in an even stronger position in the New York and New Jersey metropolitan area, as the company now operates 620,000 gross square feet in six unique facilities. 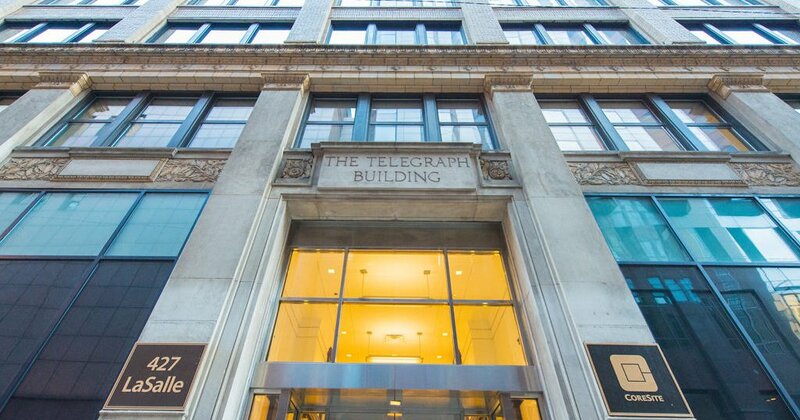 Some of the unique highlights of Telx’s NYC1 facility include access to more than 400 carriers, enterprise networks and ISPs, in addition to access to more than 60 financial networks due to the dynamic ecosystems surrounding the 8th Avenue location. The facility also provides direct access to Telx’s Financial Business Exchange and SFTI Network, both via 111 8th Avenue. Perhaps the most notable highlight of the NYC1 facility, however, is its ability to connect to the huge regional business ecosystem that Telx has established with its other five metropolitan facilities. Telx’s clients are taking notice of the company’s work to continually ramp up offerings, including one Chicago client, Advantage Futures, which noted that Telx’s recent Chicago data center expansion has enabled them to grow their business substantially. Due to the remarkable growth, Tom Guinan, Advantage Futures vice president and CTO, explained that the company recently made the decision to triple the amount of space it has in Telx’s CHI1 facility. Tom Marx, president of Carrier and Data Center Ecosystems for TW Telecom, another one of Telx’s clients, noted that as Telx expanded its New Jersey and New York City data center services this year, organizations like TW Telecom have the opportunity to grow their business as well. In fact, Marx explained that Telx’s expansion, operational excellence and unique interconnection services have further enabled TW Telecom to continue to provide best services to its customers."